3 cheers for our Talented Young Achievers!!! Learning beyond classrooms is an essential part of any child’s educational journey. Keeping this in mind, we go a step further at IB MYP, preparing our students to be reflective individuals of a global society. This year, Eeshal Fatima Bashir of IB MYP II, made us all proud by winning the National Championship of the 12th DAWN IN EDUCATION SPELLING BEE. Eshaal after qualifying for the first pool round went on to win a second position in the Regionals of Spelling Bee. She competed in the Nationals held in Islamabad on 15th of November, 2016 and after a nail biting competition, which had us all glued to the edge of our seats, proceeded to become National Champion. The chief guest at the event, Christina Tomlinson from the United States embassy’s culture affairs department, distributed trophies and prizes among the participants. As members of the Learning Alliance Swimming Team, Abdur Rafay of MYP III and Andrey Bogatyrev of MYP II participated in the Lahore Grammar School Inter School swimming championship on Saturday, 26th November 2016. Abdur Rafay won a Silver Medal in Freestyle and a Bronze Medal in Freestyle Relay competitions. Whereas, Andrey won 2 Bronze Medals, in Individual Medley and Freestyle Relay. Learning Alliance was the recipient of the Overall Winning Team Trophy. Adur Rafay is also a renowned member of the Learning Alliance Cricket team and participated with his fellow team members in the Learning Alliance Inter City Cricket Match held at the Faisalabad Campus on Saturday, 12th November, 2016. 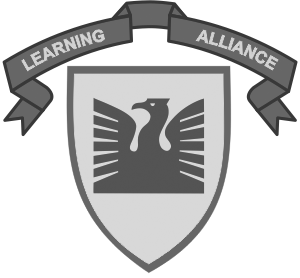 Learning Alliance DHA was the winning team of the event. Zuha Fatima Haider of MYP II also surprises people with her swimming skills. Due to her talent she secured 2nd Position in Backstroke Relay and 3rd position in Individual Backstroke at the Learning Alliance Inter Campus Girls Swimming Championship held on Saturday, 8th October 2016 at the LEARNING ALLIANCE, DHA Campus Swimming Pool. Students from Learning Alliance Faisalabad, DHA & Aziz Avenue participated in this event. Kassim Ali Khan of MYP III participated in the ‘7th Inter School & Inter College Games’ organized by Punjab Olympic Association. He won a Bronze Medal in 60 kg School level Karate Competition. Success is a tale of one’s journey towards their goals. May our young achievers have many success stories to share. The Inter Campus Book Reading competition was held at Learning Alliance Aziz Avenue. Participating students had the opportunity to narrate from ‘Matilda’ and ‘Charlie and the Chocolate Factory’. Literature that has played a vital role in developing a child’s imagination. Muhammd Hisham Ali from PYP IV B was awarded 2nd position at the Reading competition. All the branches of Learning Alliance participated in the EDeQUALMath Challenge 2014. We take pride in MYP III young mathematicians, M. Sirbuland Khan for bagging the 1st position and Nayl Iqbal for being the 1st Runners up among LA DHA Campus Class VIII-X students. 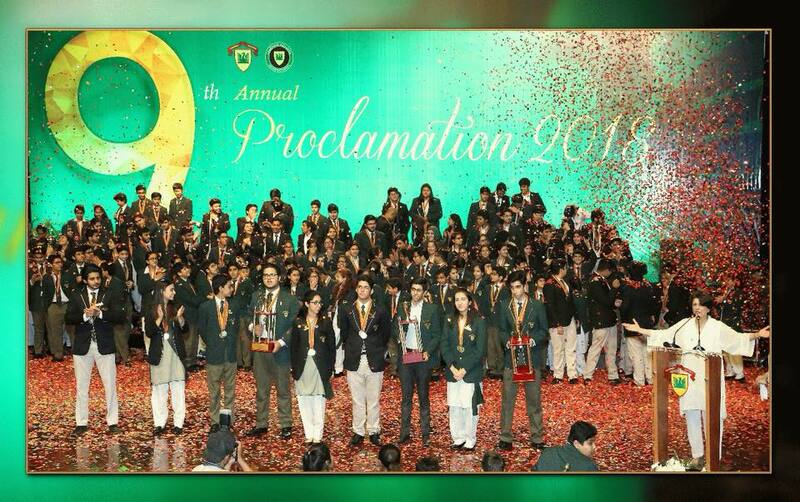 As the topper from his grade level, Sirbuland qualified for the Second Round as a part of the 3 member team from LA DHA, who competed with various other schools from Lahore. The team secured the 2nd position in the City. Her time was 52:28 at a pace of 10:30. She travelled to the United States especially, to participate in this event. It reflects her confidence and talent in taking the initiative to participate in such activities conducted outside the school. She is also an active sports person in school. In 1979, six hundred runners lined up for the first Shoreline Road Race (now Branford Road Race). The race has grown into one of USA’s biggest and best running events. Approximately 70,000 participants have participated in BRR events, hundreds of thousands of dollars distributed to various Branford organizations and charitable groups over the years. 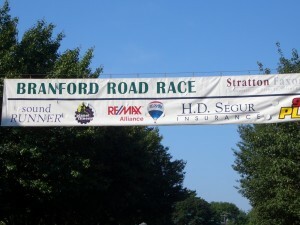 Yes, The Branford Road Race star shines brightly as one of the premier road racing events in Connecticut and the nation. 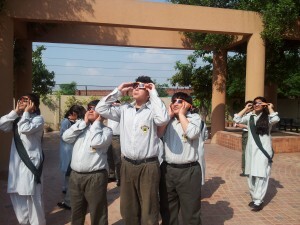 Sirbuland Khan was crowned the title: Amateur Astronomer of the year after his participation in Tour of the Solar System Programme, conducted by the Infinite Astronomical Society of Pakistan. 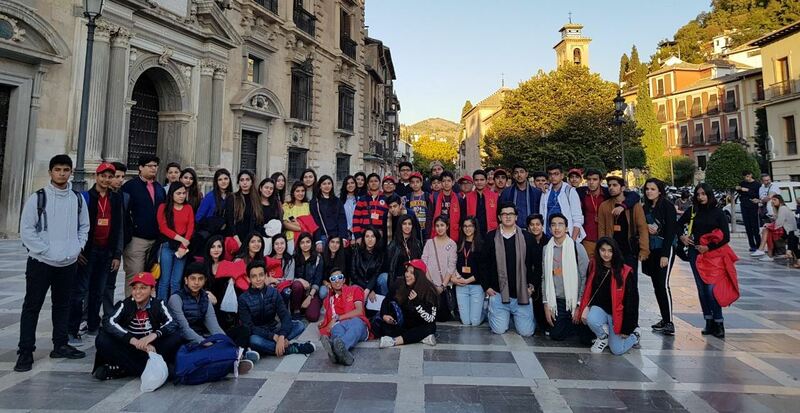 Approximately 580 students from different schools participated in the content. The purpose of the programme was to motivate our youth to more thoroughly understand astronomical phenomena. Here, we would also like to recognize the guidance and supervision of our IB Science Teacher.